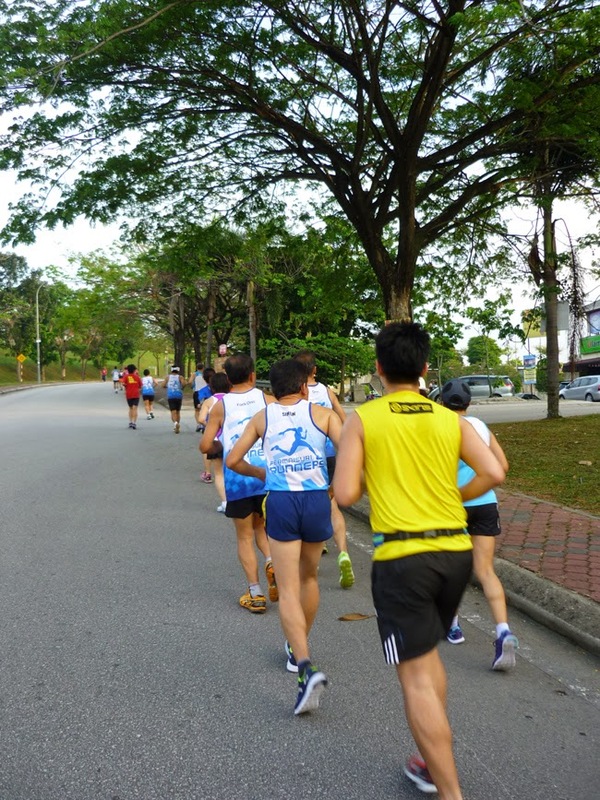 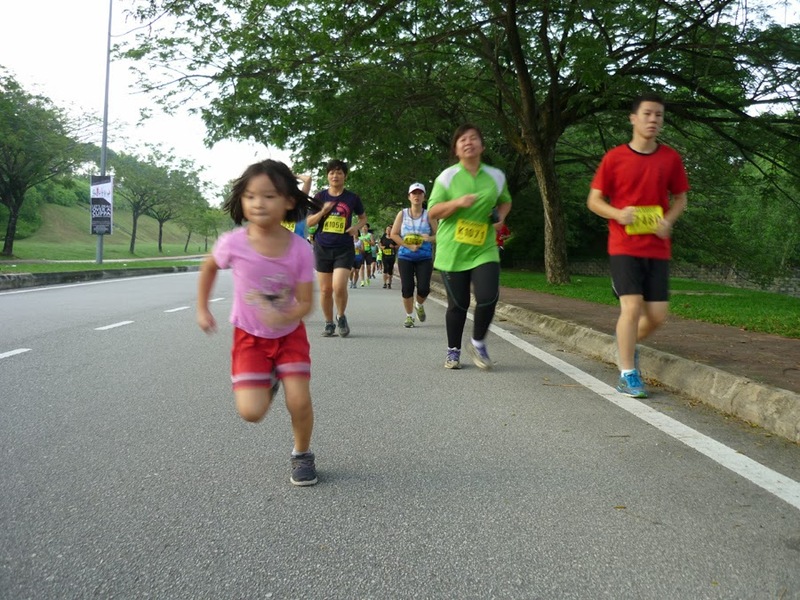 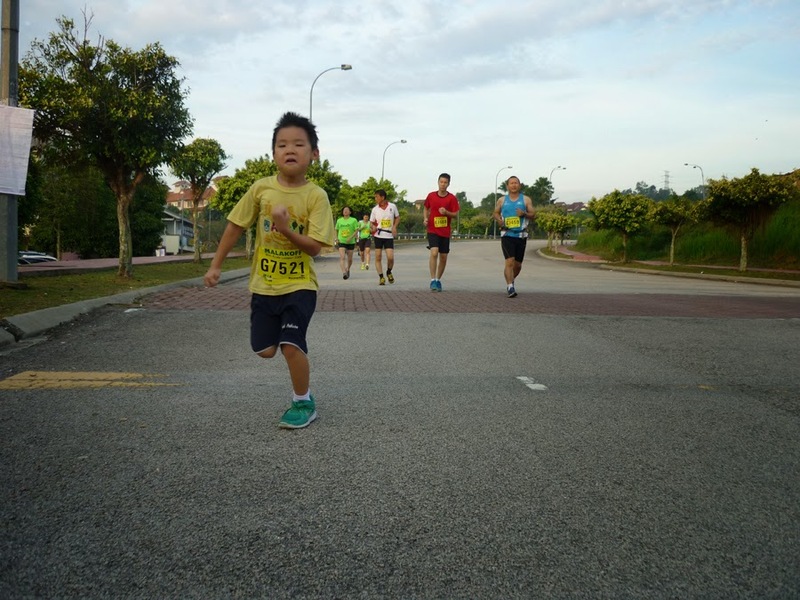 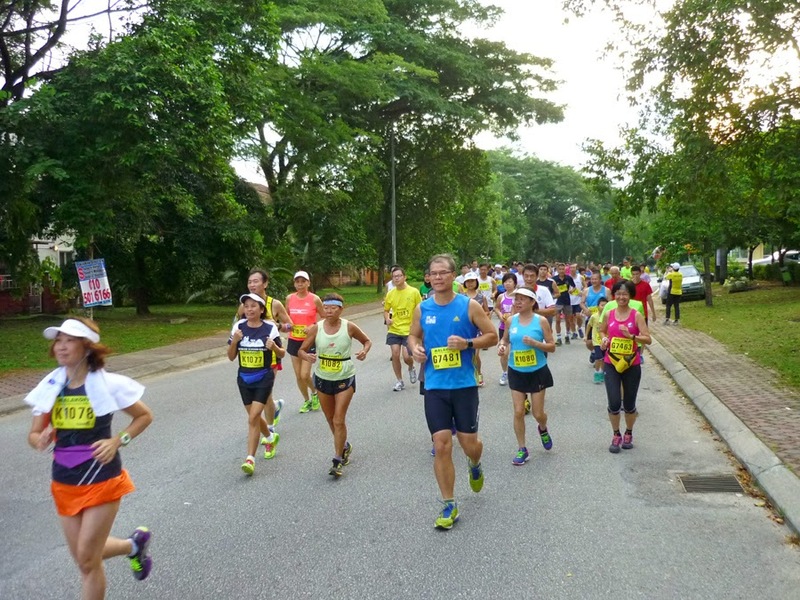 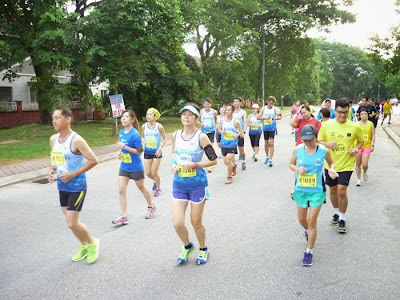 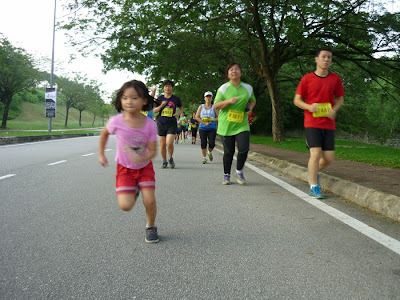 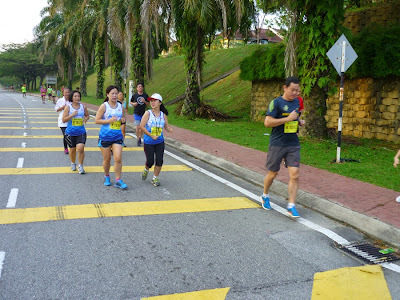 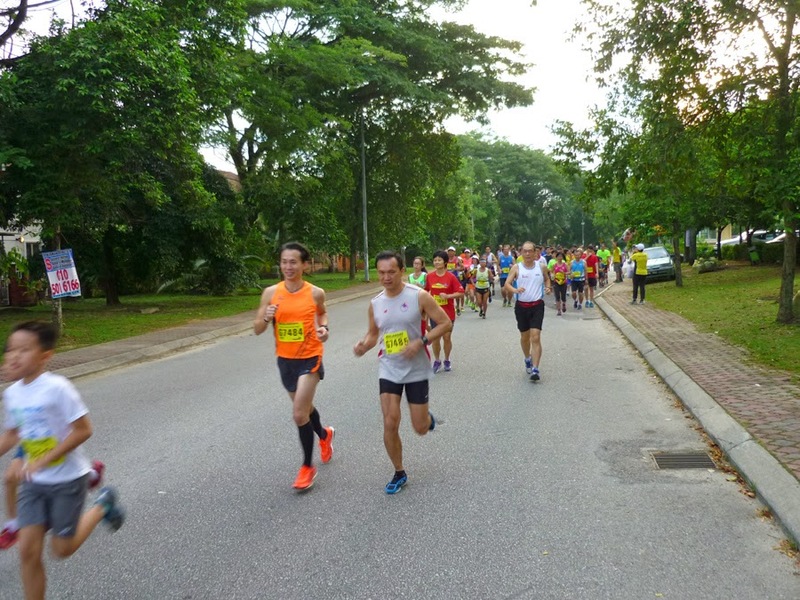 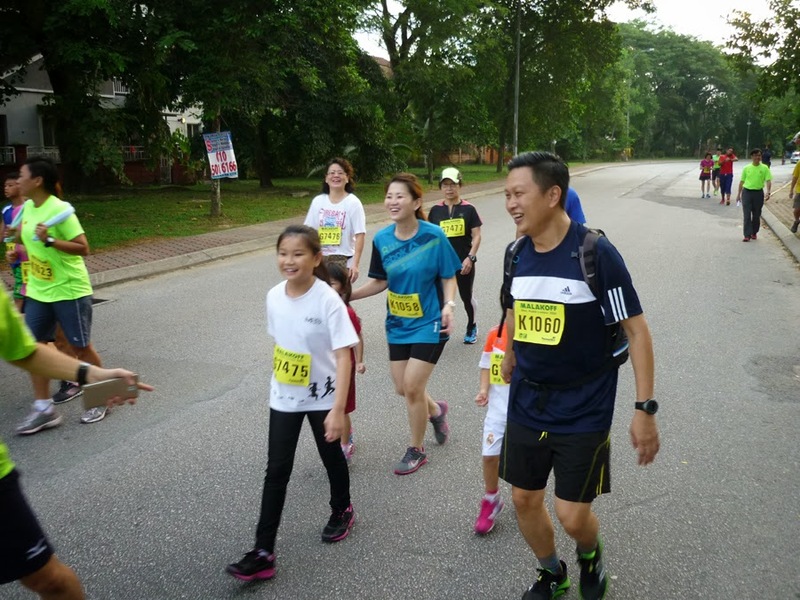 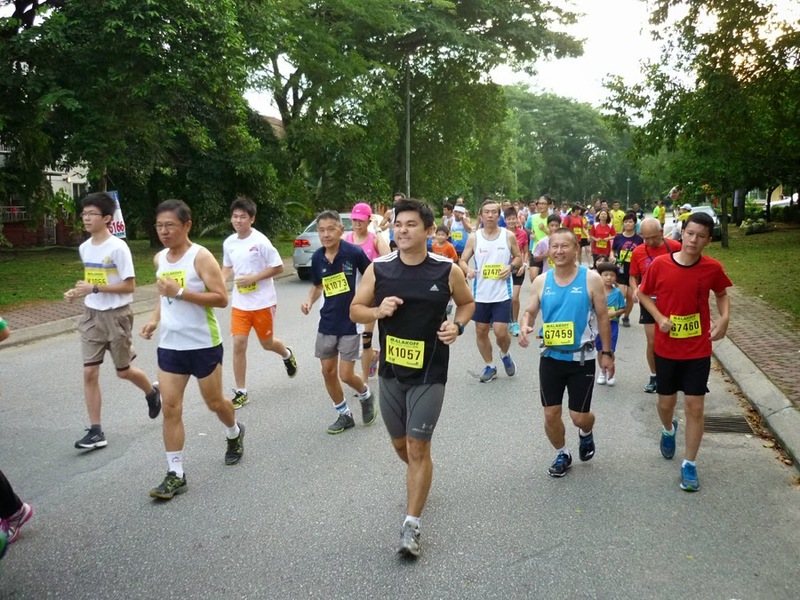 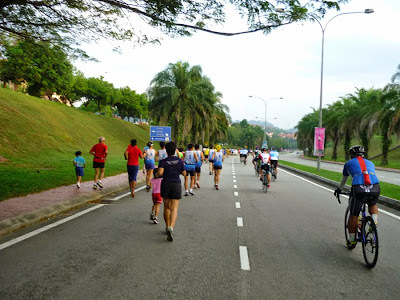 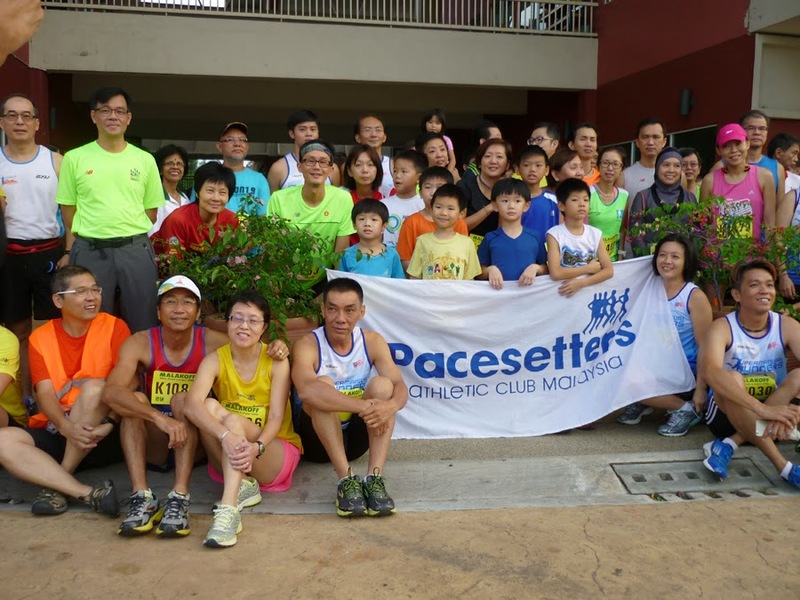 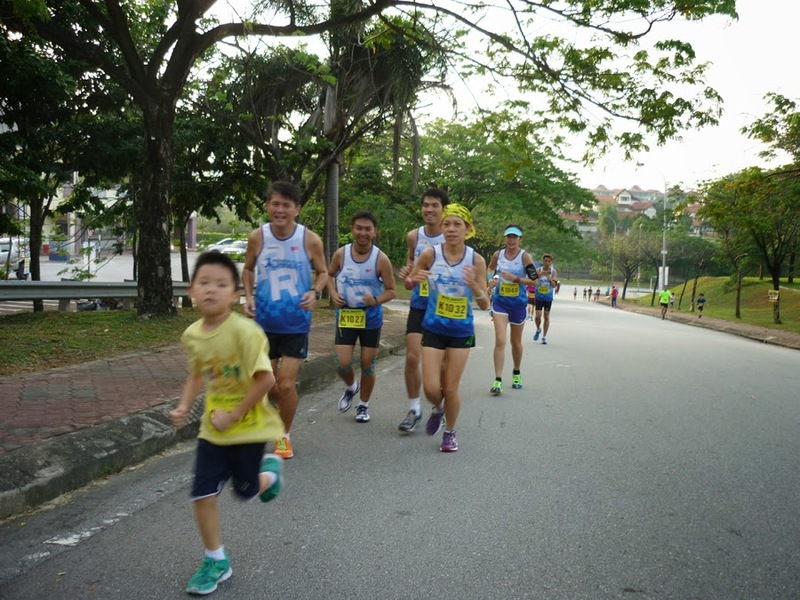 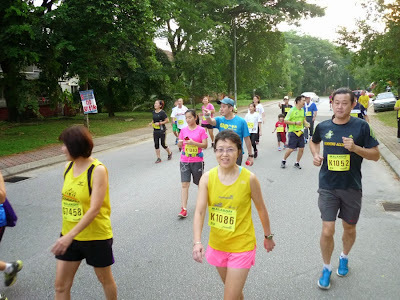 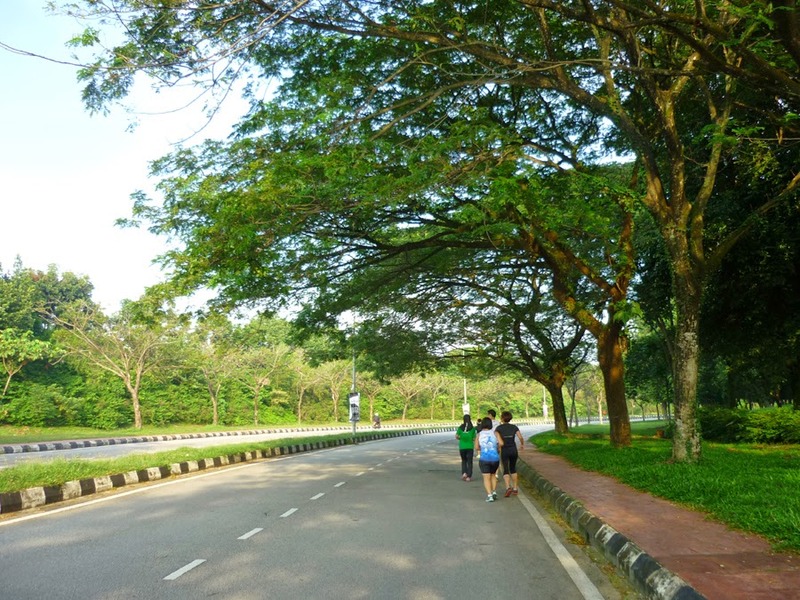 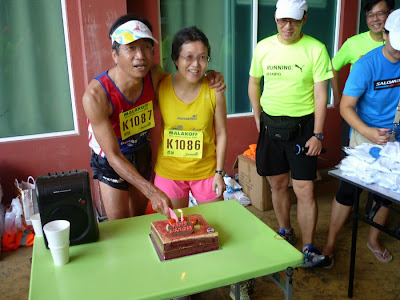 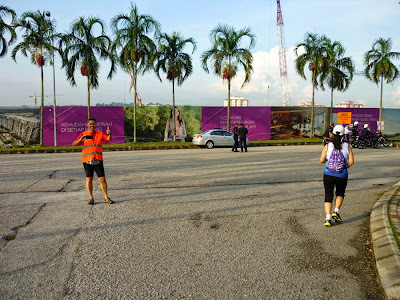 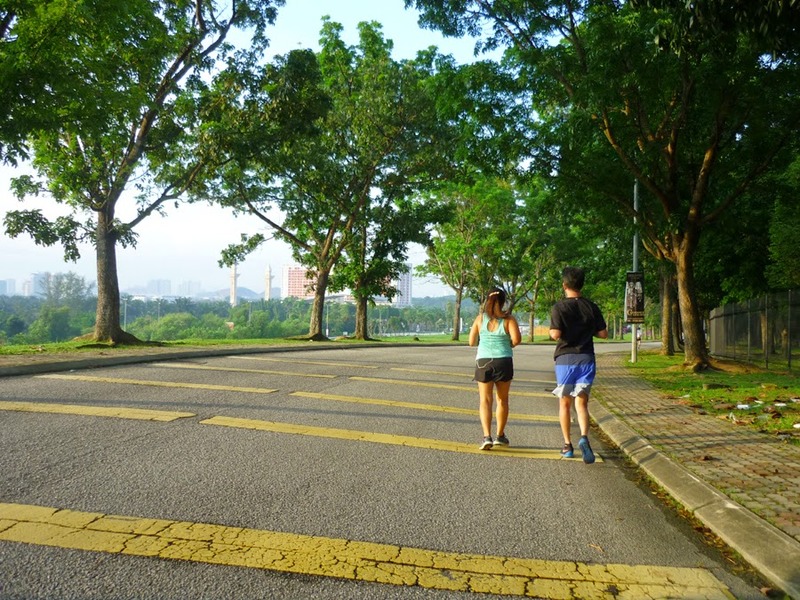 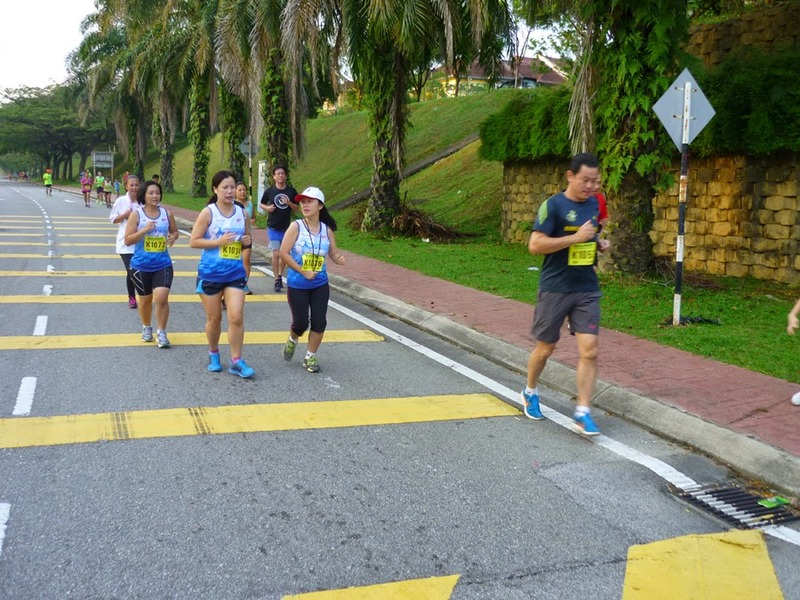 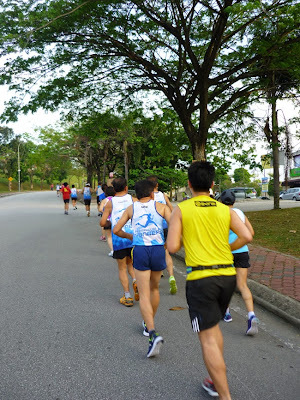 More than 100 runners, comprising of about 80 club members, 21 Bukit Jelutong residents and some children turned up for the Founders' Day 5.6km Breakfast Run at Bukit Jelutong this morning. 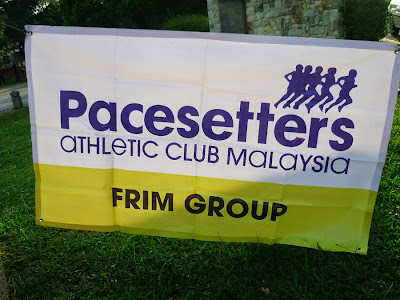 Fifteen others, including most of the EXCO, road marshals and helpers did a wonderful job of putting the event together. 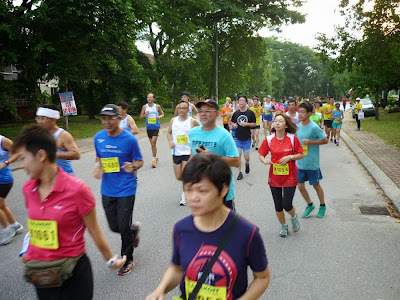 Special mention also to Tuan Rosli, the head of Shah Alam Polis HQ, YM Tengku Ahmad, the head of zone 19 of Majlis Bandaraya Shah Alam (MBSA), Martin Liang, the security head of MBSA zone 19 and two committee members of zone 19 residents association, Dato' Megat and Datin Sivamani Rasiah. 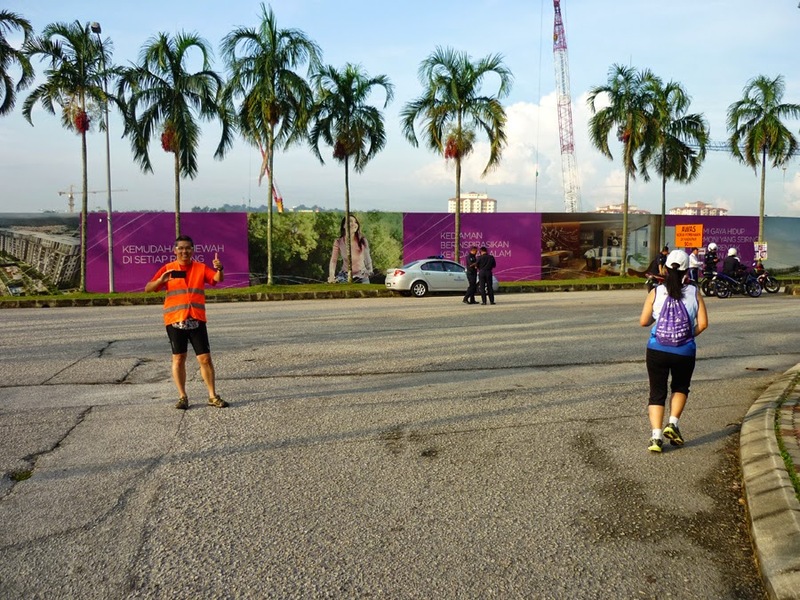 They worked to provide the venue, without charge to us, and supplied policemen to control vehicular traffic on the run route. 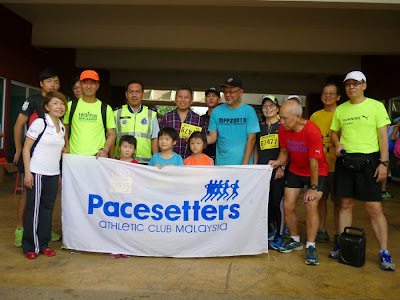 Many thanks to all of them. 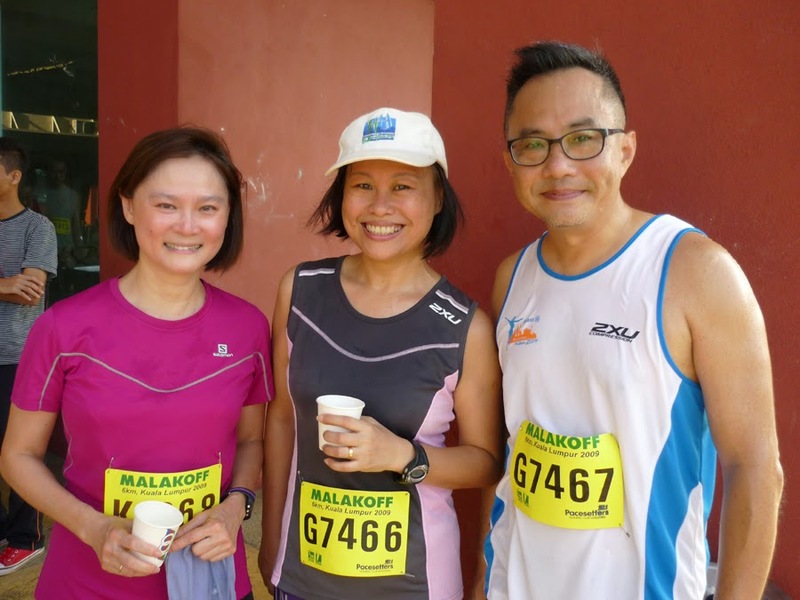 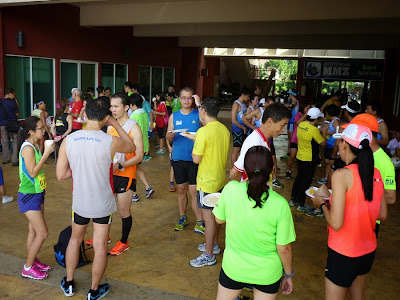 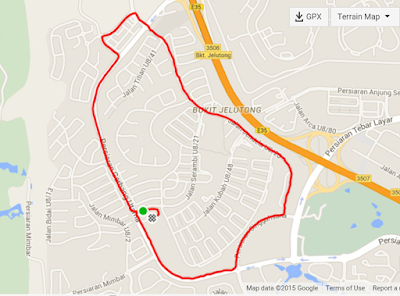 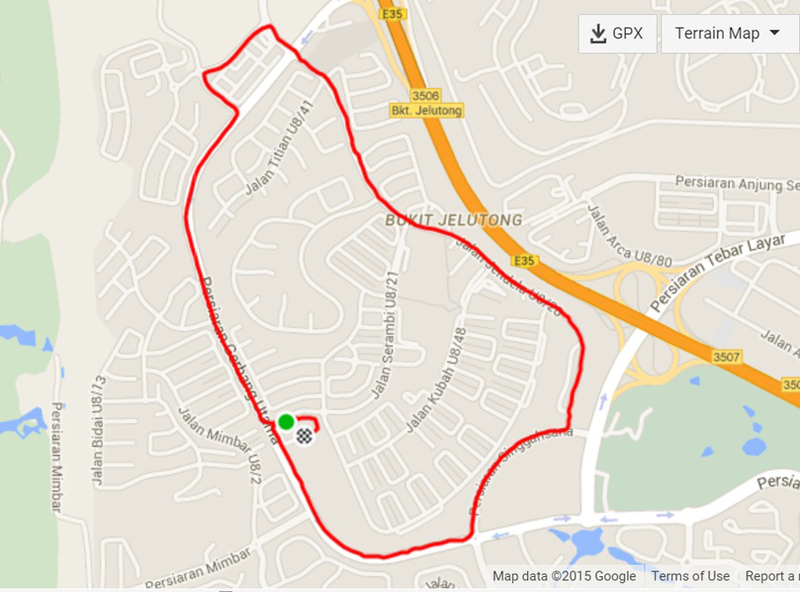 After the run, we enjoyed a breakfast of bananas, nasi lemak, curry puffs, fried bee hoon and fried mee. President Wan Yew Leong was there making his now legendary teh tarik! 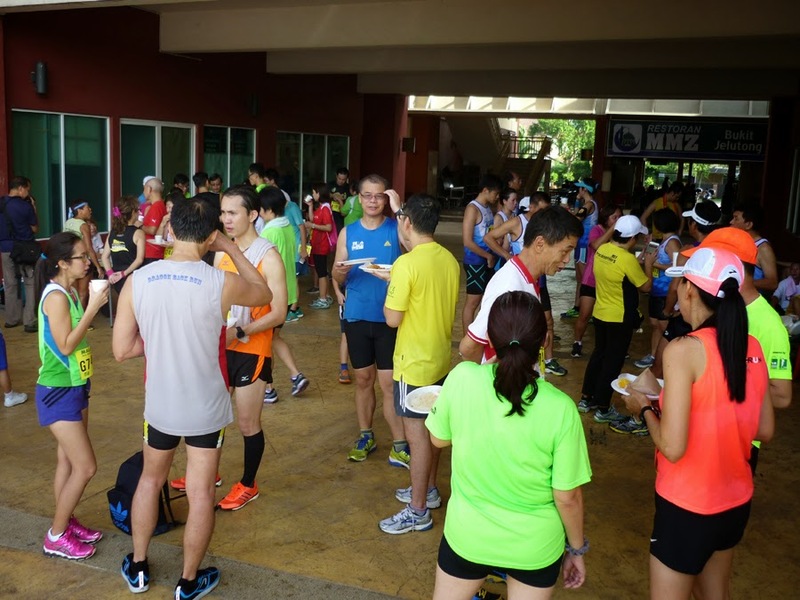 There was also free flow of mineral water and 100 Plus. There were many cyclists on the road as well. Angie Gan with Mr and Mrs. K.C. 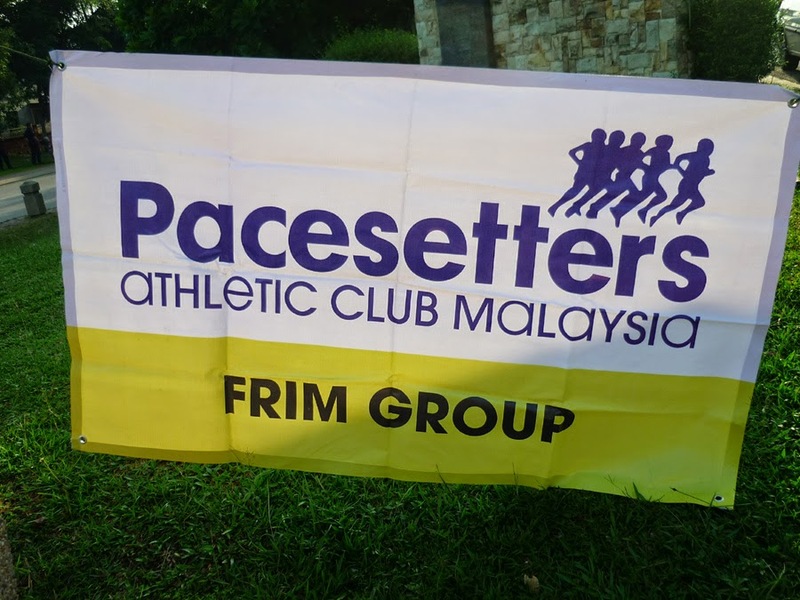 Phee, whose daughter, Jinq En will be representing Malaysia in the upcoming SEA Games in Singapore in the 50m and 100m breaststroke swimming events. 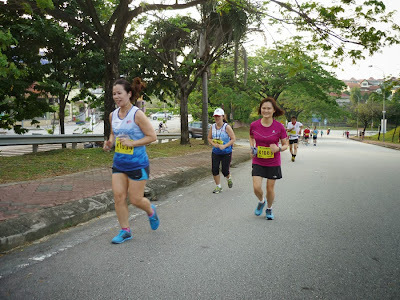 All the best to her. VIPs from the police, MBSA and residents association with some EXCO members. 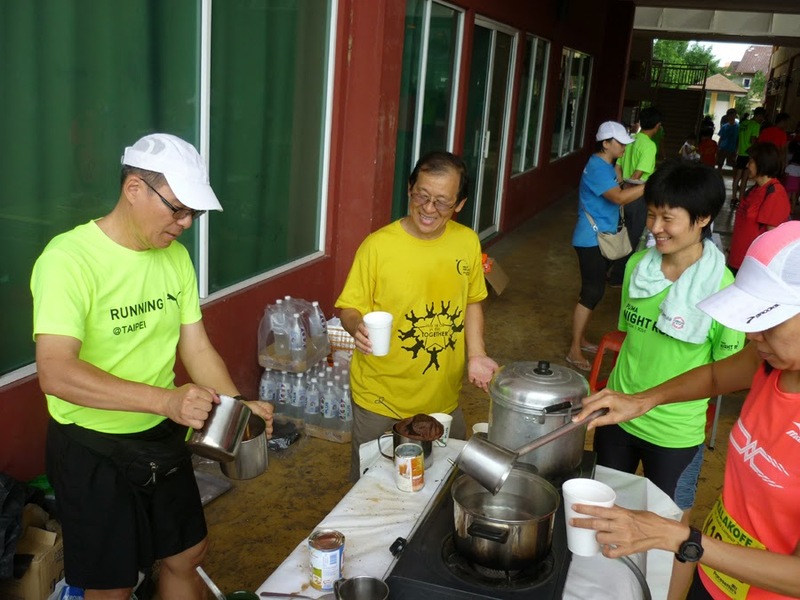 President Wan Yew Leong making his ever popular teh tarik.